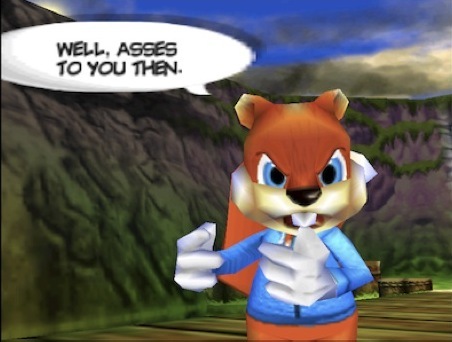 Throughout the adventure, many characters will use foul language, some even censored for a comedic touch, including Conker himself. 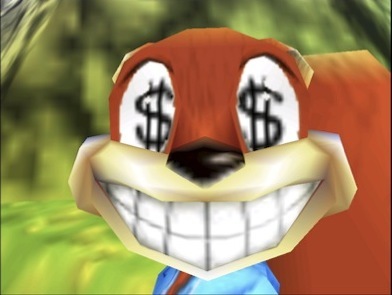 Gore and dismemberment are not emphasized, but they plentifully supplied in certain parts, such as when Conker falls from heights or watches a raptor devour its prey. As with all great games, the main purpose is to deliver a fun experience for the player. Many games have tried a “mature” approach, and failed miserably because of their emphasis on ideas uncommonly seen in games. 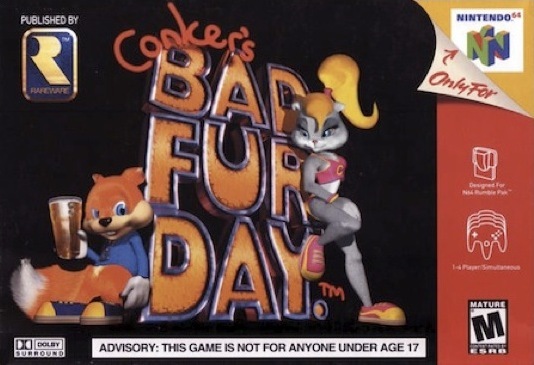 Conker's Bad Fur Day takes care not to oversaturate itself with too much of this, making for a funnier, more relaxed environment. 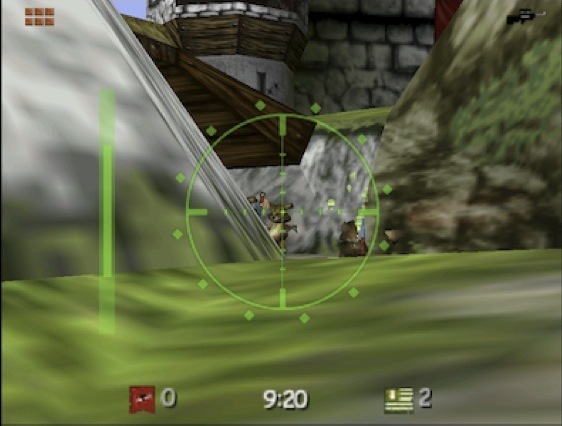 The aspect of the game most highly praised, the gameplay, has driven it to become a cult classic. Unlike other Rareware titles at the time, almost no item collection is necessary. 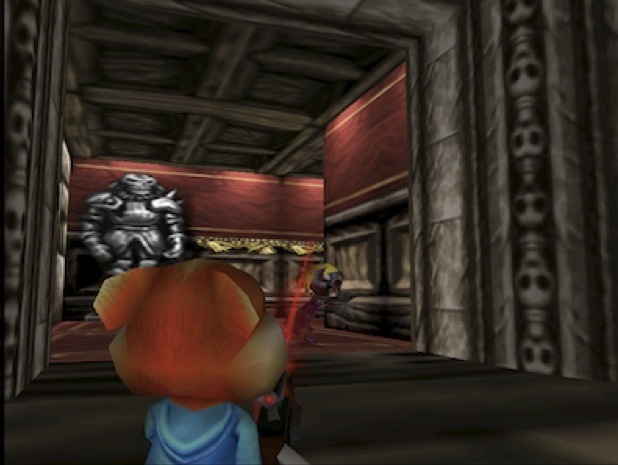 The focus is instead shifted to context-sensitive abilities (moves that can only be used in certain places) and trials that can be accomplished mostly by Conkerʼs basic actions. These range from simple (carrying cheese to a mouse while avoiding thwomp-like stones) to deep and not that simple (infiltrating an enemy stronghold). The story is equally absurd. Conkerʼs main objective is to get home and sleep after waking up with a major hangover. On his way, he encounters many whimsical characters that will often impede or help him (but mostly impede). Conker has little regard for those around him, and will readily help (or sacrifice) anyone in his way if it benefits him somehow (perhaps this is why his name is phonetically equal to “conquer”). Most of the time this means acquiring cash, which is a recurring theme in the game and, while having cash usually does nothing, is required for specific parts. Elsewhere, it is determined by a sinister king and his capable scientific professor that the table on which he places his milk glass needs to be fixed. They come to the conclusion that a squirrel is the solution. 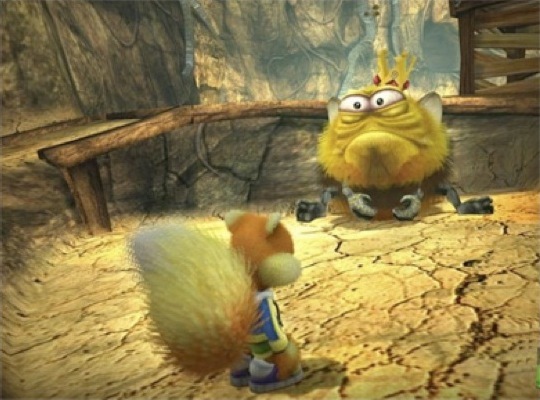 Conker's Bad Fur Day mixes various forms of humor with entertaining gameplay and lasting appeal, which tend to be quite recognizable. However, it is also known for pushing the Nintendo 64 hardware. It features spoken dialogue, lip syncing, dynamic shadows, contextual music, and various other special effects that were uncommon at the time. 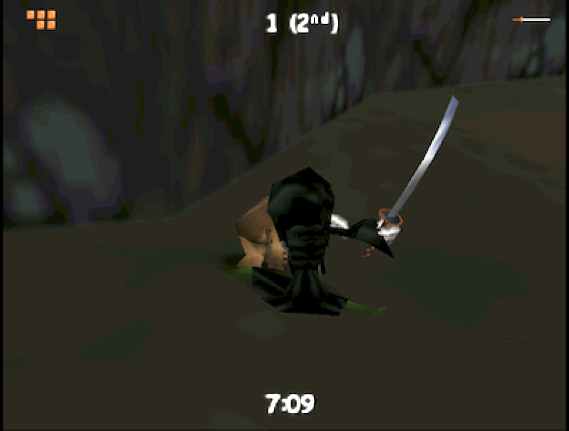 The frame rate suffers in some areas, but overall the game manages to maintain a steady flow. Perhaps due to these technical achievements, Conker's Bad Fur Day is not especially long -- a fault which some consider its primary drawback. Also featured is a multiplayer mode, which lets up to four people compete or cooperate in various modes, including Deathmatch, War, and Heist. It is often considered just as addicting and fun as the main story. In 2002, Microsoft acquired Rareware. 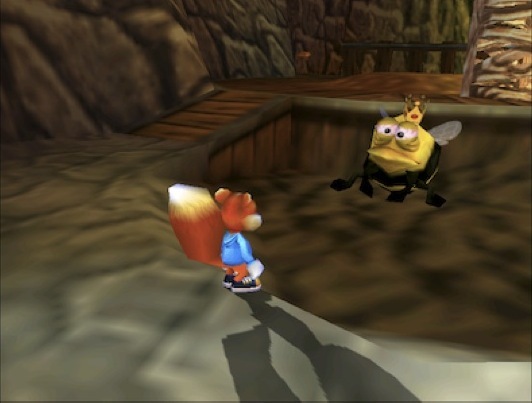 This led to the cancelation of a sequel on the GameCube, with development shifting to a remake project for Conker's Bad Fur Day on the Xbox, titled “Conker: Live and Reloaded.” This version sported new graphics, music, and other things. It was, however, criticized for its excessive censorship and certain changes that players say detracted from the experience when compared to the original. When allʼs said and done, Conkerʼs Bad Fur Day is a riot, and upon completion you will have the urge to start it all over again. I highly recommend it for anyone who wants to play something that doesnʼt take itself seriously, yet has much to offer in terms of comedy and pure fun. 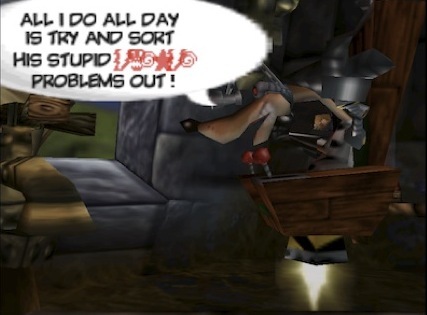 Did you play and enjoy Conker's romp through a cartoon world gone wrong? Do you wish there were more games like it? What's your favorite mature-themed game? Let us know your thoughts in the comments.